Emola Farm has goats for sale, including pygmy goats, boer goats, and nubian goats. Call us for more information about which goats we have available, as our current inventory changes on a daily and weekly basis. 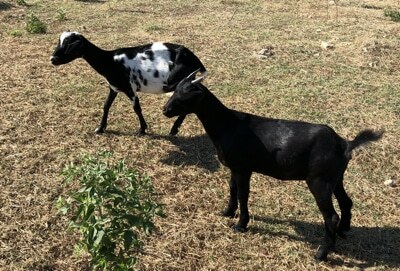 We can even send you a photo of the goats that we have for sale here in East Texas. Also, check our Facebook page, as well, as we regularly post on our Facebook page the goats that we have for sale. Whether it is one goat you’re looking for or if you’re looking for a whole entire herd of sheep, Emola Farm can help. 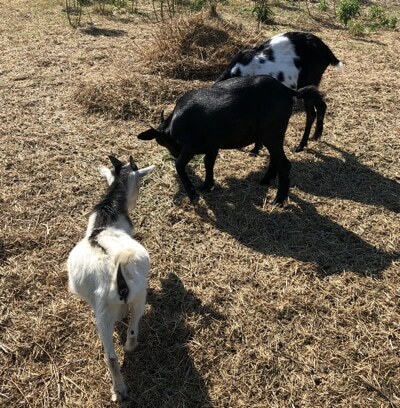 Below are photos that we’ve taken of the goats we have for sale here at our farm in Mabank, Texas (East Texas), which is near Cedar Creek Lake, in Van Zandt County. Keep in mind that we’re constantly buying and selling goats, so the goat phoeos below aren’t necessarily a representation of what we currently have on our farm.